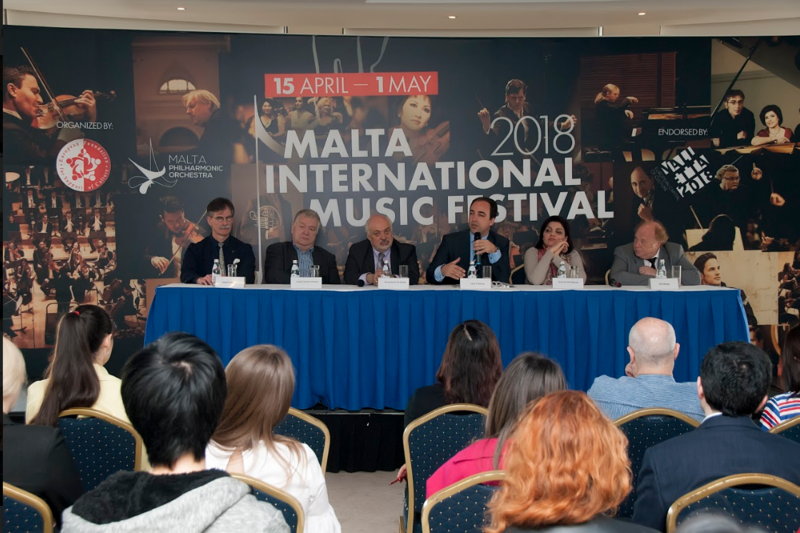 The Malta International Piano Competition 2018 organised by the European Foundation for Support of Culture started on April 16th and was launched during a press conference held on the same day. This round is the climax of a number of competitions held since July 2017 which took place in Russia (Moscow), China (Shanghai), Japan (Tokio), Germany (Cologne and Berlin), Armenia (Yerevan), Italy (Brescia) Spain (Granada), Malta (Valletta), Kazakhstan (Astana), and Austria (Vienna). 730 youngsters from 74 different countries participated in this stage of the competition. The five best competitors from each competition made it to the final competition. With an overall prize fund of €200,000, (including €100,000 for the 1st prize) this made it, as Constantine Orbelian, Chairman of the jury, explained, the biggest piano competition world-wide, surpassing even the Leeds and the Tchaikovsky competitions. 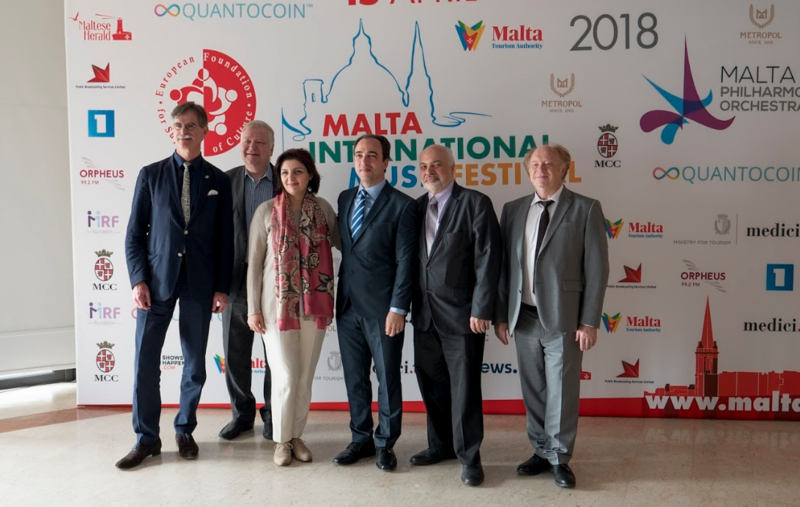 With Valletta being the European capital of culture it was particularly significant that this year the final round was being held in Malta and for the next two weeks Malta would become the musical capital of the world. Requirements for participation were established well in advance and included both compulsory pieces by Maltese composers Alexey Shor and Joseph Vella and pieces chosen by the participants themselves.The Malta round presents the best of the best. It consists of three stages. In the first stage 70 participants have to perform a 20-minute programme that included a piece by a Maltese composer. Forty of these participants move forward to the second stage when they have to perform a 50-minute programme which must include one of three works by composer Alexey Shor, who is the composer in residence of the festival for the current year. The top six participants go on to the final round when they have to perform a piano concerto with the orchestra. This year the orchestra accompanying the soloists is the Armenian State Symphony Orchestra conducted by Sergey Smbatyan that, as explained by Anna Ter-Hovakimyan, manager of the orchestra, is fascinating to participate in a competition of this calibre. The first two stages of the competition were being held in the Robert Samut Hall in Floriana while the final stage will be held in the Republic Hall at the Mediterranean Conference Centre. Three Steinway grand pianos for the performances and seven upright pianos for practicing had been specially brought over to Malta. The six finalists had one rehearsal with the orchestra. Passing from one stage to another depends on a marking scheme which grades participants and the organisers give direction but do not interfere at all with decisions of jury. Constantine Orbelian, who last year was in Malta to conduct the Malta Philharmonic Orchestra and who has great experience judging competitions, explained that there were two jury panels, one for the round 1 and a second one for rounds 2 and 3. All members of both panels are international experts. He welcomed the journalists present and the participants and wished all the participants luck adding that in the course of such competitions the jurors made many artistic discoveries. 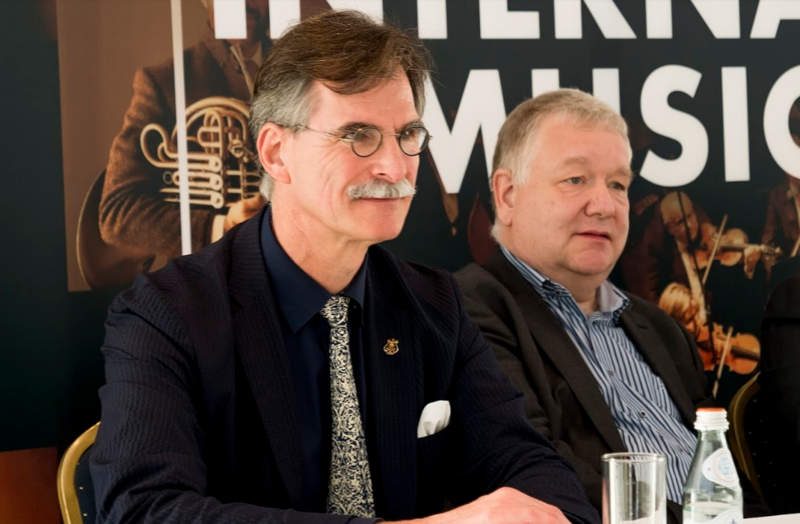 Asked what the members of the jury were expecting from the competition Georg Friedrich Schenck said that the most important thing was the ability to project a sound image, the power to transmit the feeling of the piece and the ability to make the piano speak. These are all complex features that can also be very subjective and thus the task of the members of the jury is a very difficult. However, they insisted, that the final result is in no way a death sentence passed on the career of the performer. A lot of talent is also present among those who do not win. The purpose of the competition is to promote and showcase musicianship and to serve as a platform and present an an opportunity for every participant. The competition, with the three final stages taking place over a week, also serves to test the capability of the participants to deal with the pressure created by the career of every performer. Asked whether the Foundation follows the development of its prize-winners Alan Chircop, artistic director of the Foundation, said that the Foundation follows the development of all participants not just prize-winners. Apart from concert opportunities to the prize-winners it also provides opportunities for other participants. There had been several instances of agencies inviting participants to perform. In fact one of the leading music agents was on the panel of rounds two and three of the competition. The Foundation also holds junior competitions and it is encouraging to see how often young children pass from one level on to a higher level. Finally Mr Chircop wished good luck to all the participants. He hoped that they would all be satisfied with their performance irrespective of the results and augured that their participation in the competition in Valletta at a time when it was the capital of culture would be a memorable one.